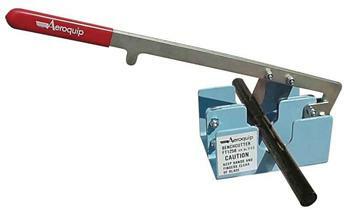 Aeroquip Tools - Cut Off Tool UNIVERSAL - Lightning Motorsports - Selling Speed since 1996 ! Bench mounted cut-off tool for all non-wire reinforced hose. Eaton’s hand-held hose cutter has been specially designed for cutting all non-wire reinforced hose, such as Eaton’s Aeroquip Performance Products StartLite® and SOCKETLESS™ hose styles. The cutter’s compact size makes it ideal for working in confined areas. It provides fast, accurate easy cuts—every time.